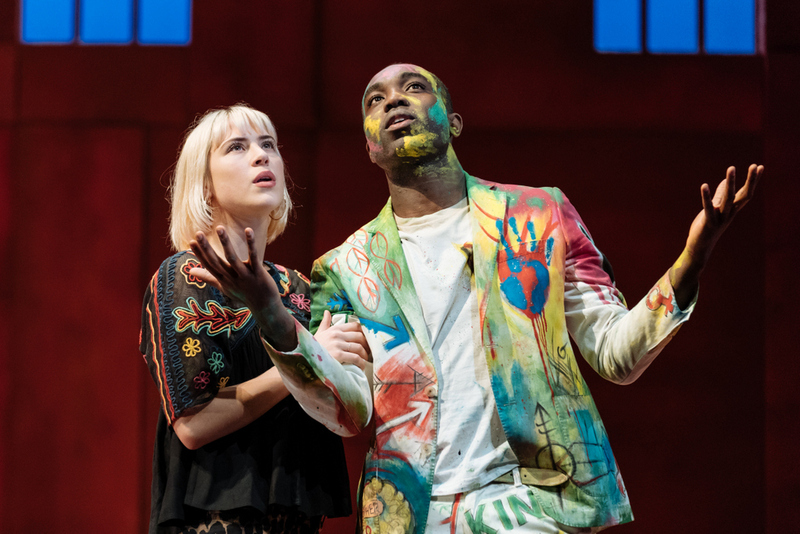 Hamlet comes in a re-energised form to Hackney Empire after a short UK tour before heading overseas to Washington in the Royal Shakespeare Company‘s latest production, directed by Simon Godwin. 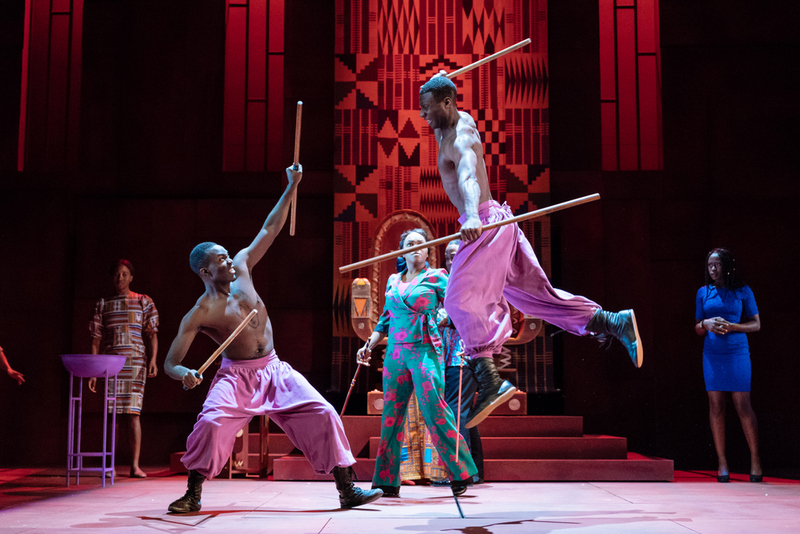 What makes this production stand out is its leading man Paapa Essiedu who at the age of 27 is the first black man ever to play Hamlet at the RSC, he has a commanding presence and beautifully encompasses a gawky post-adolescent, rebellious young man full of passion, angst and ultimate revenge with a sprinkling of humour thrown in. Essiedu’s fresh and impressive performance as a recent graduate from Wittenberg University, arriving home to Denmark proves he is undoubtedly a star in the making. Hamlet is the most modern of Shakespeare’s plays. Eschewing the predictable uncoiling of the plot that characterises classic Revenge Tragedies, Shakespeare presents a modern and highly conflicted hero, half-adolescent, half-man, driven by doubts and dark fantasies whose real tragedy is his inability to act. With his mother having been stolen by his uncle who has also killed his father, Hamlet has been robbed of ownership of his Freudian Oedipal desires rendering him castrated, impotent and indecisive. Godwin’s exciting production and Paul Will’s set takes us into the wider world reimagined in a West African kingdom, swathed in Day-Glo colour and vivid imagery of Jean-Michel Basquiat’s graffiti art, which along the African drumming and vibrant brightly coloured costumes transports the audience to another world, which is propelled by percussionist Sola Akingbola’s (from Jamiroquai) dynamic score and Christopher Shutt’s sound design. On-stage drummers mark the unfolding drama with volleys of riffs that are simultaneously tribal and militaristic adding rhythm and energy. Hamlet is often set in a sombre court, however, this production oscillates from an atmosphere of solemnity to one of an anarchic carnival, which gives it a unique charm. The resplendent costumes embrace both traditional and modern designer attire, which adds to the rich visuals. Hamlet’s rebellion and youthfulness is demonstrated by his willing hand with a spray can, which he uses to graffiti the canvass with mutinous pleasure. The production particularly focuses on the human relationships with added humorous appeal. Notably Hamlet’s deep-seated friendship with Horatio (James Cooney) and his old somewhat naive old school friends Rosencrantz (Romayne Andrew) and Eleanor Wyld’s wonderfully kooky Guildenstern. 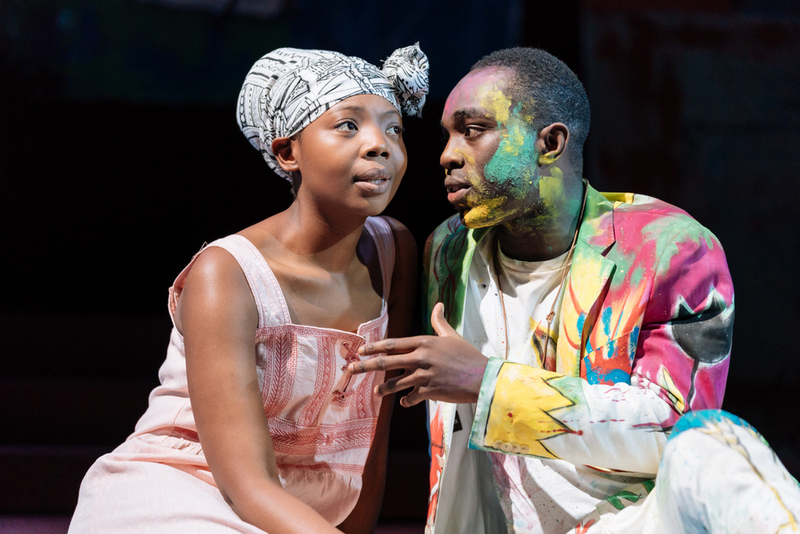 Joseph Mydell gives a strong performance as an amusing Polonius, and Mimi Ndiweni plays Orphelia with a sparky charm which she imbues with madness and grief. 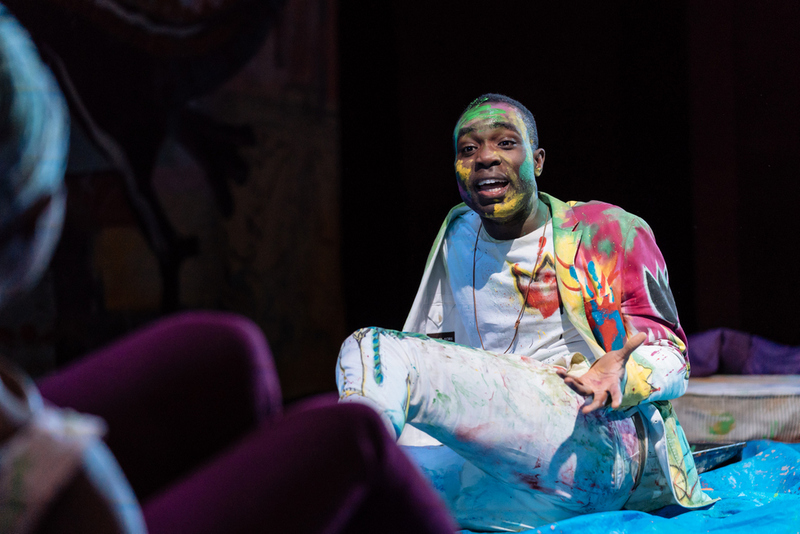 I really enjoyed Buon Tihngang as Laertes, plus Clarence Smith’s Claudius, made a powerful impact. The RSC’s production is brave, vivid and expansive and is filled with equal amounts of charm, comedy and tragedy. 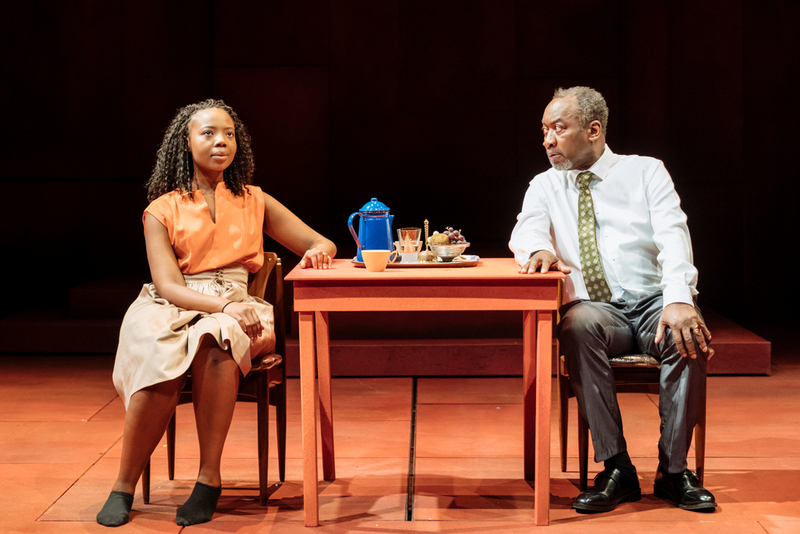 Get to see it if you can, and be sure to keep an eye out for Paapa Essiedu as he is definitely one to watch.